Fellow Americans, the state of Mexican food in this great nation is strong, but don't just take our word for it. To prove just how far this cuisine has come and continues to go, we rounded up 11 of the most innovative, brilliant, and downright wizard-like culinary artists specializing in Mexican comida and asked them a series of burning (we already said "comida", please don't make us use "caliente") questions. 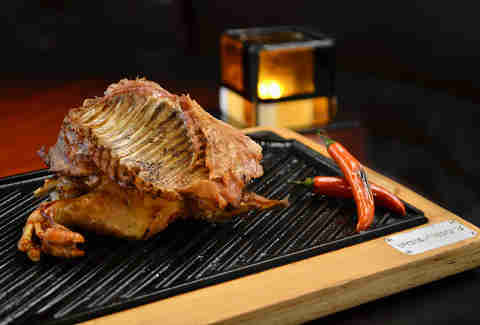 Peep their answers and some of their tummy-rumbling, genre-defying dishes for yourself. What's a Mexican dish most people have never had, but need to try once in their life? "Escamoles. It's something that not many foreigners try. They're edible larvae of ants that are normally pan-fried. They kind of resemble corn kernels and have a buttery nutty taste. " "Chochoyotes. 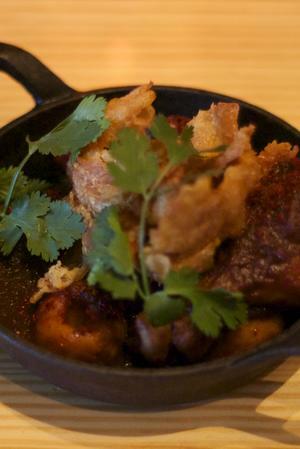 It is a dish featuring braised chicken, mole amarillo and masa dumplings. It’s on my menu, and I want everyone to eat it -- from Arkansas to Connecticut to North Dakota." 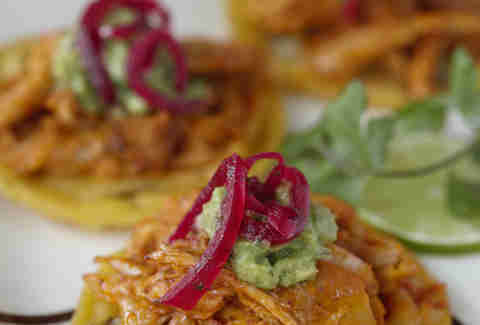 "A freshly made nixtamal corn tortilla filed with mole pobalano sauce and real cotija cheese. It's a comfort food like a slice of toasted freshly made bread slathered with organic cultured butter". 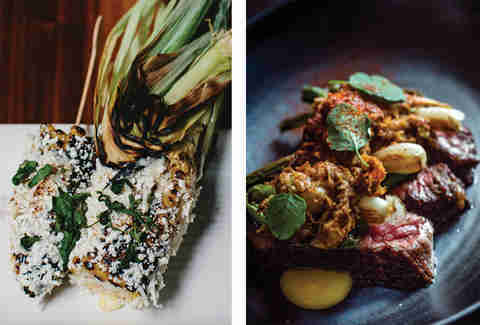 What mistakes do chefs make when they try to modernize Mexican food? "I see more and more chefs put the word 'mole' on menus. That's like saying, 'Here, this dish comes with sauce'. There's so much that goes into each type of mole, and generalizing it cheapens the techniques they comes from". "Don't try to rewrite the whole cookbook on Mexican cuisine when it comes to a taco". "As long as you don’t overthink things, you’re good to go. But people don’t wanna eat poblano ice cream". What's one huge misconception about Mexican food? "We still get people surprised that there are mushrooms in our dishes, and Mexico’s one of the largest producers of mushrooms in the world. It’s actually laughable. We’ll have flying cars before we understand our sisters to the south". What does "modern Mexican" mean to you? 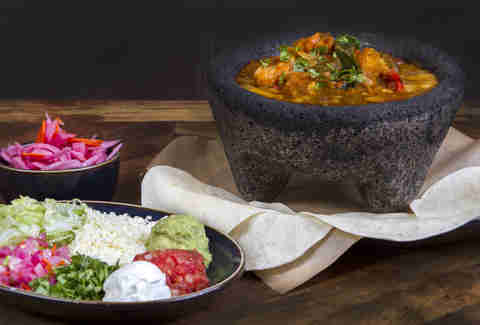 "A modern Mexican restaurant is one that exhibits identifiable characteristics of current dining trends. 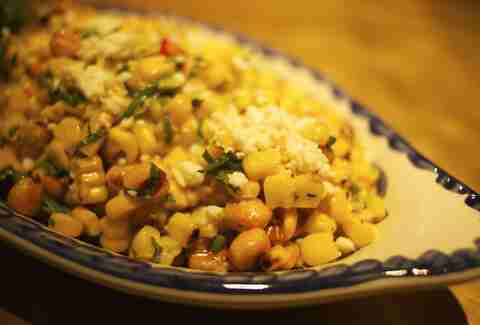 It departs from classic Americanized Mexican cuisine that’s been in vogue since the 1950s". 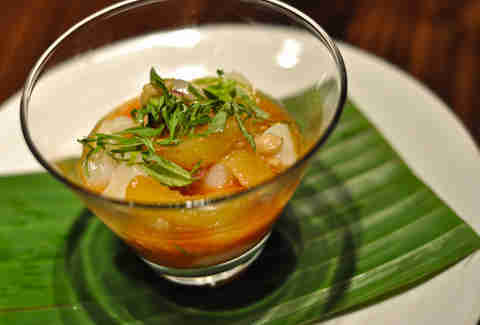 "It means taking a traditional dish and then elevating it. Like a cauliflower taco with raisins and capers at Jean-Georges". "It’s a new reading of an old text, the eyes of an outsider looking at something that’s been there for a millennium. We try to never replicate because replication is an exercise in futility". What's the most surprising ingredient you've used? "Chapulines (grasshopers), chivo (goat), cholla buds (cactus flower buds), cesos (brains)... the list is endless". "Burnt chillies until they're almost ash. 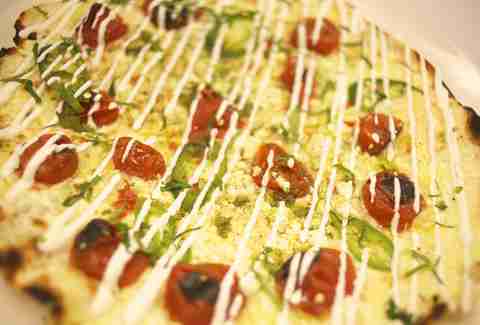 We got the idea after taking our executive chefs down to eat street food for a day in Tijuana". "Grasshoppers. I love them personally, but all of the sudden they’ve become trendy. So I give people what they want: bugs in tacos!" Is Mexican food THE best food? "Yes it is! That's an opinion, but it's up there with the best cuisines in the world without a doubt". Does cilantro taste like soap to you? Is it even possible to be a Mexican chef if it does? "No way! I love cilantro too much! For a long time I had a plant growing outside my bedroom." "If cilantro tasted like soap on a daily basis, it would definitely make cooking this cuisine a lot more difficult". "I think some people start to hate cilantro in the womb". "That’s just a chemical imbalance -- they’re not allergic to it. Luckily, I’m not one of those people. But they'd just have to power through it". "No, absolutely not. The same thing with onions and garlic…if you don’t like those, forget about it. In almost everything that is Mexican, you’ll find those flavors". "Thank goodness I am not one of those people". Do you think the quality of Mexican food is the best it's ever been in America? "Chefs are idolized, so naturally fans demand the best and always want more bang for their buck. 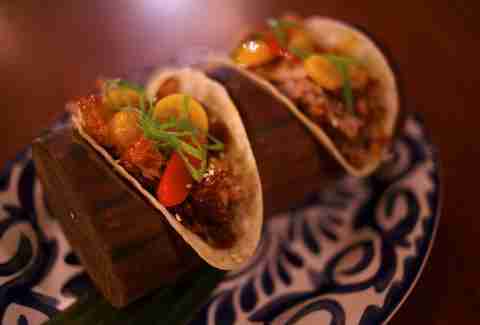 Mexican food is a force to be dealt with." "Just look at all these other ethnic cuisines that are jumping into the Mexican restaurant game -- it's where it's at!" "Restaurants today are offering some of the best Mexican food ever." What's the future of Mexican food look like? "Come hell or high water we were going to grind our own corn and make our own masa. Thirty years ago in New York City, having fresh pasta in an Italian restaurant was rare, now we demand it. The tortilla is where that has to begin." "It's not going to be limited to food but include cocktails as well. The first cocktail that comes to mind when you think Mexican is a margarita, but there are so many other traditional drinks. 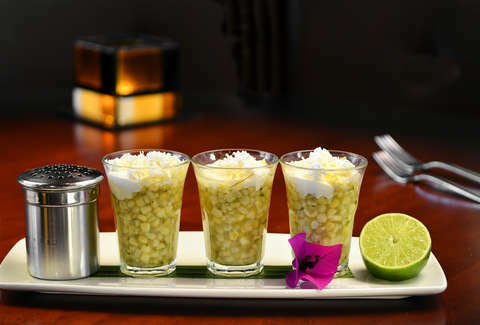 For example, Josefinas, which are made with mezcal". "The richness of the cuisine and the vast regionalism make it one of the great cuisines of the world. Look at the induction of Mexican Cuisine into the Unesco preservation for 'intangible cultural heritage of humanity'. More and more great Mexican restaurants are on the way". 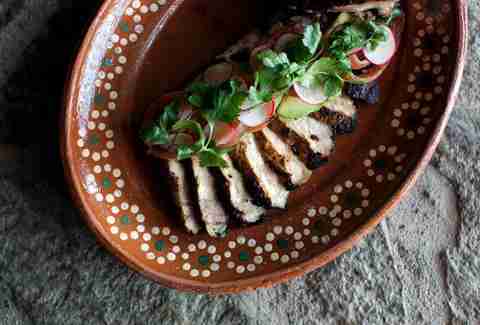 "I hope that restaurants change people’s perception of Mexican food. And when they go out to eat it, they aren’t just looking for guacamole. Americans kind of define Mexican food as chimichangas and burritos. Guests come in here and might be like 'Oh you, you don’t have fajitas or queso dip!'. And that’s not all Mexican food is, you know?" Is modern Mexican underrated in the culinary world? "The perception of the old cheap combo plate, a hard shell taco and cheese enchilada with refried beans and rice, is on its way out". "The cuisine itself is definitely not underrated. People talk about it all the time. It’s a course in major culinary programs. It’s even a focus on one campus in San Antonio, Texas." "I believe in some ways, yes. Even back in the 80s, there were amazing, fresh ingredients in Mexico. They were doing things with juices in the 80s that we never even thought about doing. "It's gaining much respect in cities like New York city, Chicago, and many places in California but overall I think it is still very underrated". "Definitely, but it's changing for the better".